Bic Pens Everyone Enjoys to write with . . . 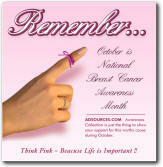 So Your advertising message is always remembered. 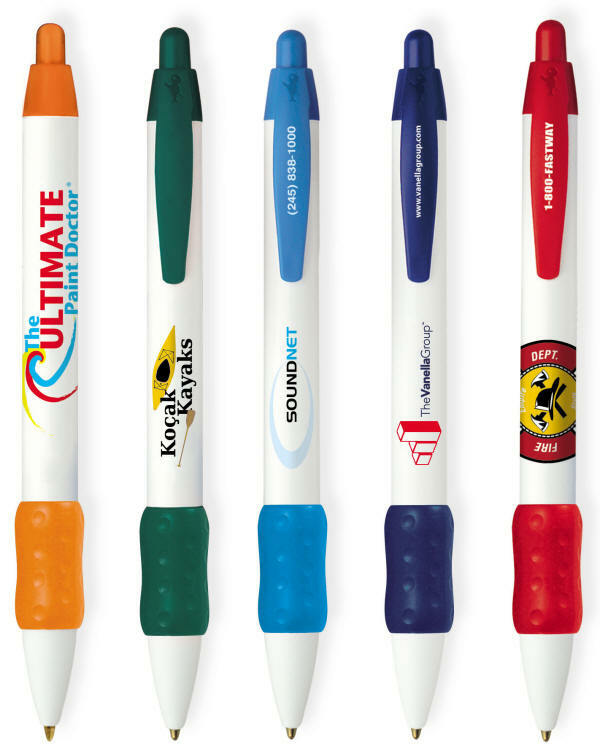 Bic WideBody Pens have Super-soft, contoured color rubber grip with 1.2 miles of comfortable writing promoting your message and your Brand with bright beautiful Imprint. Choose trim/grip color from selection shown. All include white barrel and section. Match Trim/Grip Color at No extra charge. Enjoy over 1.2 miles of writing ink. Choose your color combination with BIC Color Connection. Imprintable in up to 3 colors on barrel and 1 color on the clip. Advertise on the barrel, pocket clip or both. Barrel/Trim Colors Choose 1 barrel and 1 trim color from selection shown. Please note that barrel and trim colors may not be an exact color match. Flow lines may be visible in metallic barrels. Option 1: 2 1/8" x 5/8"; opposite side of clip. Option 2: 1 1/8" x 1"; aligned w/clip. Imprint: Price includes a 1 color imprint on barrel. 3 colors available on the barrel, 1 color on clip. Add $.12 per pen for each additional imprint color or clip imprint. Add $.25 for raised imprint (if required) option. 2. Stock colors click here. 3. Custom color match, specify PMS number. Add $32.00 per color. Point Style/Ink Color Medium Ballpoint: Black, Blue or Red Ink. Fine Ballpoint: Black or Blue Ink. Production Time 6-8 working days after approval of proof. GET IT NOW! This pen is available within 24 hours production time, if the order is received with a camera ready art or standard type by 1:00PM on a working day, you imprinted pen order can be shipped the next working day with camera ready art and after approval of proof. Packaging: Standard - 15 lbs. (approx.) @ 500 per carton. Special packaging click here. Shipping Standard ground shipping method applies, unless otherwise specified. Click here for details.